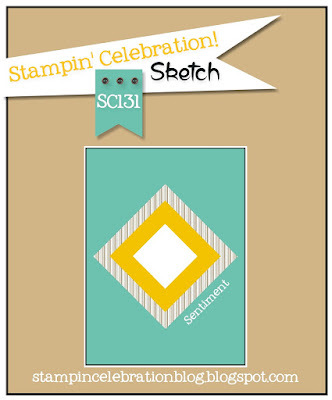 Thanks for peeking at my creation for the Stampin' Celebration July Sketch Challenge! I have to say, I was a bit stumped when I started thinking about this card. I didn't want to be persuaded by all of the squares. I thought layering a few images would be just fine. 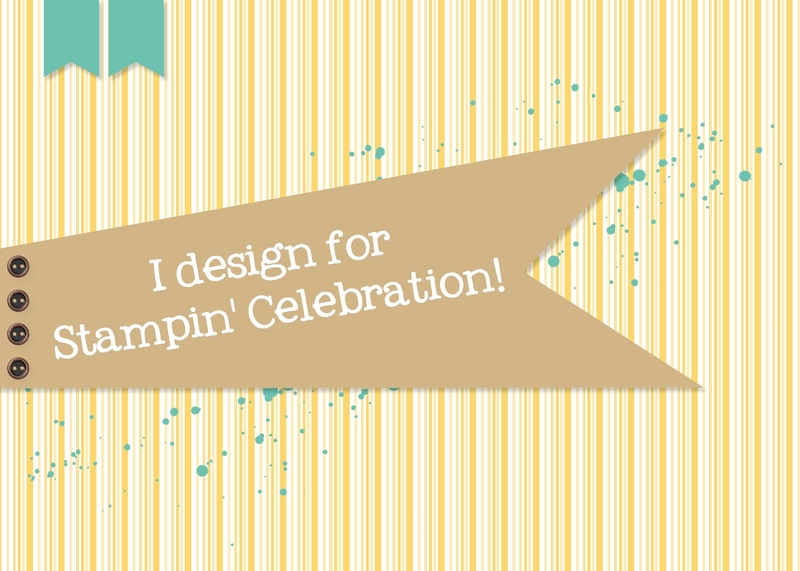 But then one night I thought about making a shaker card and this sketch helped spark some creativity! I was so happy as it has been a little while since I was able to use my creativity. 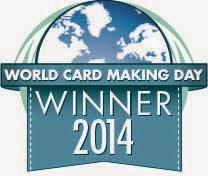 For this card, the color combination is Whisper White, Basic Black and Bermuda Bay. I used the striped paper from the Pop of Pink Designer Series Paper. I was so excited to use this paper! 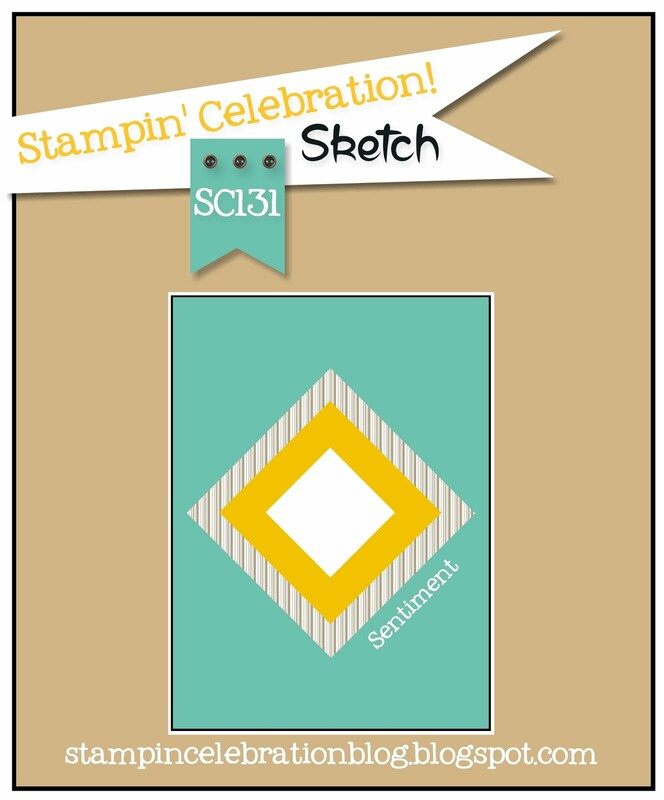 I also used the new Layering Squares Framelits from the 2016 Annual Stampin' Up! Catalog. These framelits were great for this project!! The greeting is from the Thoughtful Banners stamp set and I used the new Duet Banner Punch to punch the banner. The stamp set and punch are being offered as a bundle with 10% off the purchase price when you purchase these two items as a bundle! I love this set and have used it a few times already! For the shaker portion I used the new Foam Adhesive Strips and the Metallic Sequins Assortment and added a few sequins I pulled from the Bermuda Bay sequin trim ribbon. A fun card for anyone's birthday! I hope you were inspired and play along with us and this challenge! I can't wait to see what you create.